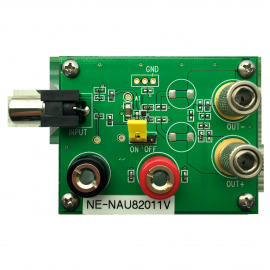 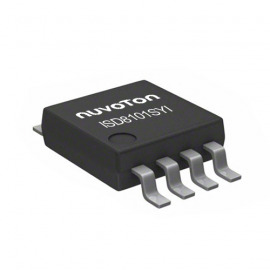 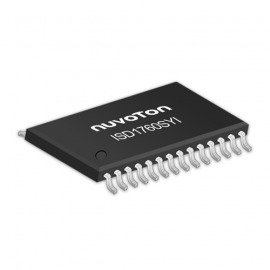 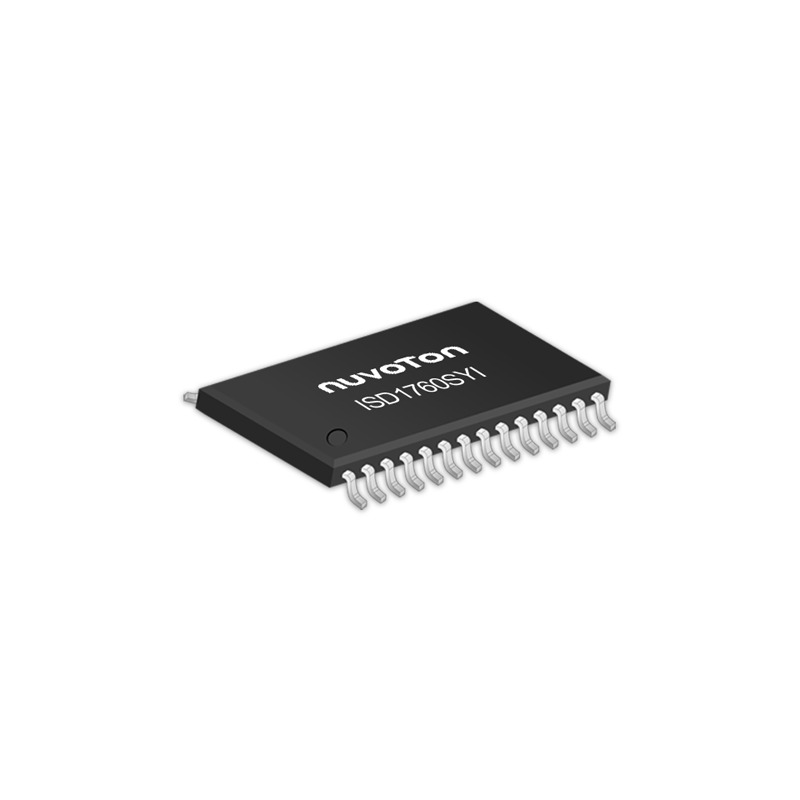 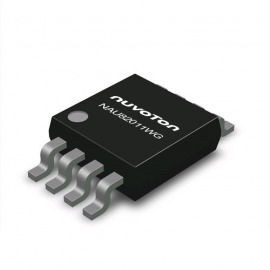 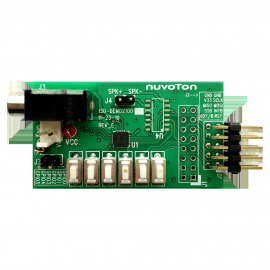 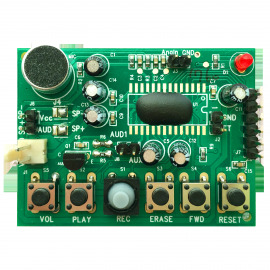 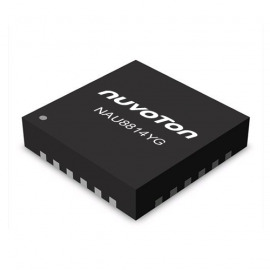 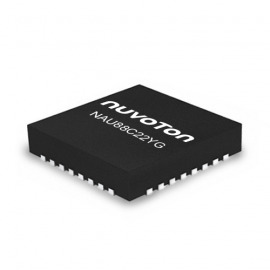 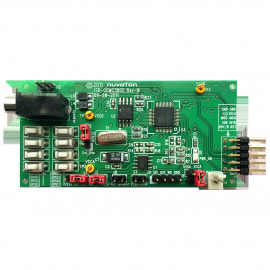 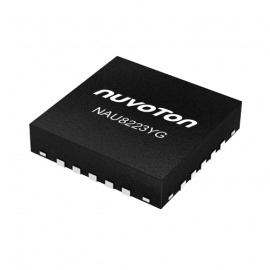 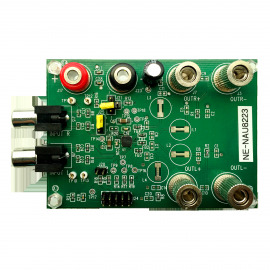 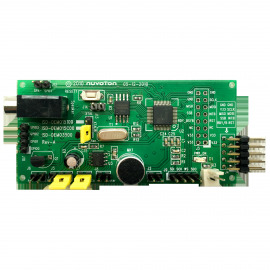 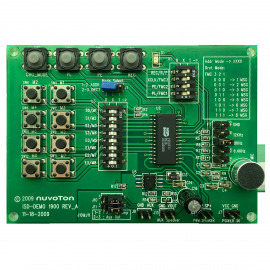 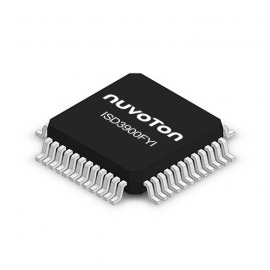 The Nuvoton ISD1700 ChipCorder Series is a high quality, fully integrated, single-chip multi-message voice record and playback device ideally suited to a variety of electronic systems. 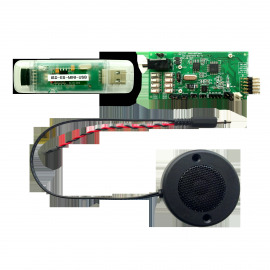 The message duration is user selectable in ranges from 26 to 120 seconds, depending on the specific device. 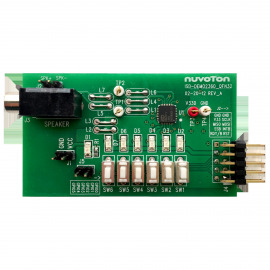 The sampling frequency of each device can also be adjusted from 4 kHz to 12 kHz with an external resistor, giving the user greater flexibility in duration versus recording quality for each application. Operating voltage spans a range from 2.4 V to 5.5 V to ensure that the ISD1700 devices are optimized for a wide range of battery or line-powered applications. 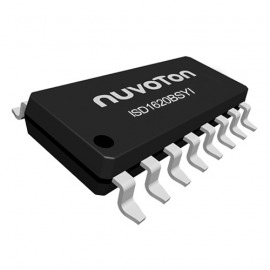 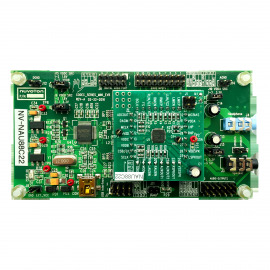 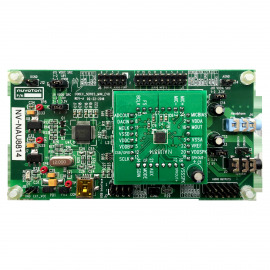 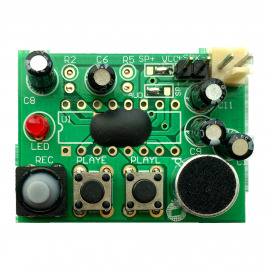 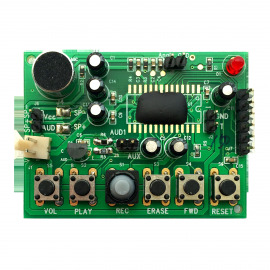 The ISD1700 is designed for operation in either stand-alone or microcontroller (SPI) mode. The device incorporates a proprietary message management system that allows the chip to self-manage address locations for multiple messages. 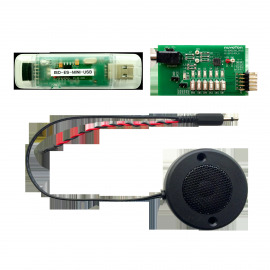 This unique feature provides sophisticated messaging flexibility in a simple, push-button environment. 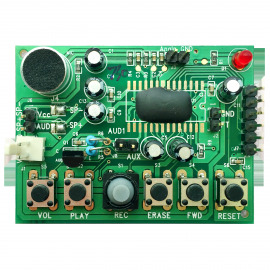 The devices include an on-chip oscillator (with external resistor control) , microphone preamplifier with Automatic Gain Control (AGC) , an auxiliary analog input, anti-aliasing filter, Multi-Level Storage (MLS) array, smoothing filter, volume control, Pulse Width Modulation (PWM) Class D speaker driver, and current output.